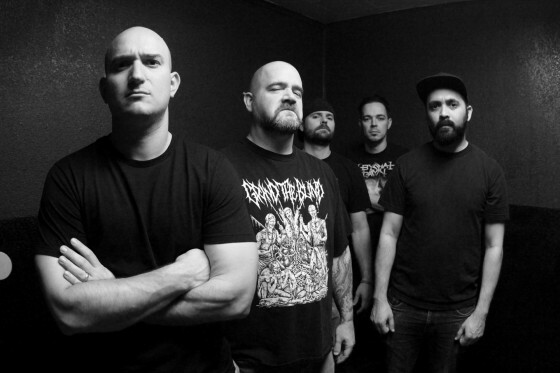 Following an entire decade without a new album, Phoenix-based melodic death metal kingpins, VEHEMENCE, return to full-time duty in 2015, having reactivated the band and completed their fourth full-length studio full-length, Forward Without Motion, which is now set for release this Autumn via Battleground Records. VEHEMENCE will release Forward Without Motion through Battleground Records on October 27th in various formats, including a 2xLP set on 180-gram black vinyl in gatefold packaging, a CD version, and across various digital platforms. In conjunction with the release of Forward Without Motion, VEHEMENCE will be performing several shows in support of the album shortly before the street date. Additional information on the album, audio samples, an official video and more will be released throughout the Summer and early Autumn months.